Coinhako Rewards: It pays to start blockchain the right way! It pays to start with the right platform for blockchain technology! like buying and selling Bitcoin (BTC), Ethereum (ETH), Ripple (XRP), Litecoin (LTC) at Coinhako. You can now earn points simply by checking on your Coinhako blockchain portfolio, your Coinhako BTC, ETH, XRP, LTC – and all other supported blockchain tokens – wallets, and/or buying your favorite blockchain tokens (BTC, ETH, XRP, LTC, BCH etc.) with your local currency – Singapore Dollars (SGD), Indonesian Rupiah (IDR), Vietnamese Dong (VND). 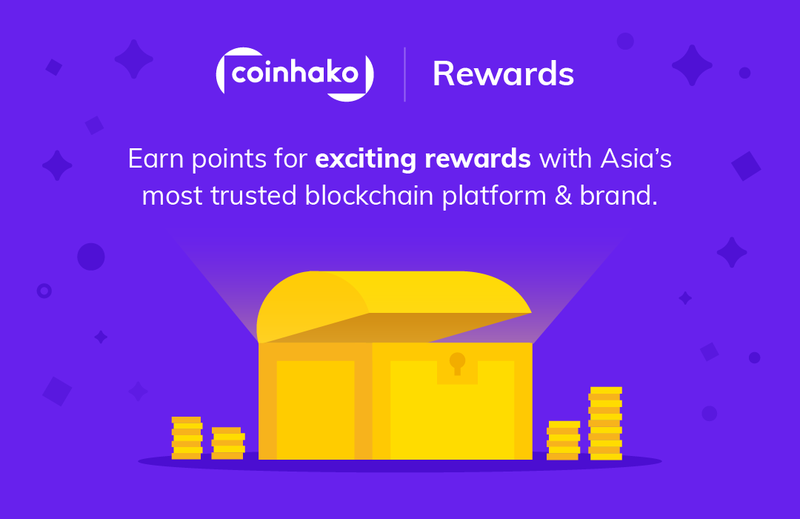 Exchange these points for exciting rewards at Coinhako.com. Stay tuned to changes in the world of blockchain, BTC, XRP and many multiple other supported tokens by checking your portfolio daily and be rewarded. Points are awarded on your first visit everyday to our website while logged in, get 2x more points when you use our mobile apps. Bonus points are awarded on your 7th, 14th, 21st and 28th consecutive days of log in. Points are also awarded whenever you trade with us. The more you trade, the more points you earn. 2x points are also awarded when you trade on our mobile apps, be sure to update your mobile apps to see the points you earn! We also give bonus prizes to the top 3 point gainers of the month. Prizes may range from gift vouchers, digital assets and other attractive prizes. Points may be used to redeem digital assets, fee discounts and more! Points redemption will be available by early April 2019. Stay tuned for our reward updates and thank you for your support.